Receive a warm welcome at the Dhaka Airport. Transfer to Hotel. Relax for some time after which you will be taken to short sightseeing excursion to Dhaka University Campus with Curzon Hall, language memorial, arts building, statue of freedom and Parliament house. Return to hotel after having a relishing dinner at a traditional restaurant. Night Halt at Dhaka. Have breakfast at the hotel. Start your excursion with sightseeing which includes prominent attractions like Savar national memorial, Jahangir Nagar University, Heritage Park, antic village etc. Enjoy a lunch break amid sightseeing in Dhaka. Continue you sightseeing excursion with national museum, liberation war museum, Lalbagh fort, Armenian Church etc. Transfer to Hotel and Night Halt at Dhaka. Early morning departure from Dhaka for Chittagong by train/reserve AC van. Visit Sonargaon, Panam city and Goaldi Mosque enroute. (by reserve van only). Receive a warm welcome at Chittagong. Transfer to Hotel for dinner & Night halt at Chittagong. Early morning Departure from Chittagong for Rangamati. Receive a warm welcome at Rangamati. After having some rest start your boat trip in Kaptai Lake and visit the nearby attractions like Tribal handicraft shop, etc. Enjoy a Morning visit to Famous temples & lake post-breakfast. A visit to Shuvolong waterfall, Peda Ting Ting, Tribal villages around the lake, Tribal King’s House, Traditional textile Handloom factory etc. Night Halt at Rangamati. Early morning Departure from Rangamati for Bandarban. 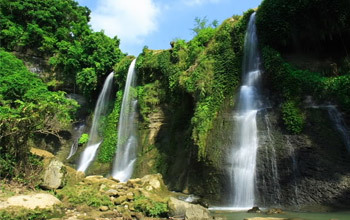 At arrival in Bandarban, start your excursion with a visit to Hill & Tribal Culture. Enjoy a scenic drive up into the Burmese foothills. Indulge in some casual sightseeing around this colorful native market town. Night Halt at Bandarban. Start you morning with a visit to the local Buddhist shrines. Head towards the Marma village and the Tribal complex. Enjoy the splendid cruises in the Sangu river by the boat in the afternoon post-lunch followed with some water activities along the sandy river beach. Late afternoon visit to the hanging bridge, waterfalls and lookout points. Spend your evening with the locals by visiting their homes with having some home-brew or visit the tea-stall or spend some time in the bazaar. Night Halt at Bandarban. Enjoy the early morning drive from Chittagong to Cox's bazaar. (3.50 Hrs Journey: 120 Km) Arrival at Cox’s Bazaar. Transfer to Hotel. Indulge in some splendid Beach Activities in the evening to relax yourself. Night Halt at Cox’s Bazaar. Start your excursion with Moheshkhali post-breakfast. Indulge in some sightseeing. Return to Cox’s Bazar for lunch. Start your excursion for Himchori post-lunch. Evening return to hotel. Night halt at Cox’s Bazaar. Early morning departure from Cox’s Bazaar for Saint Martin by AC-Van. Enjoy sightseeing at Saint Martin. Dinner at hotel. Night halt at Saint Martin. Start the excursion with a visit to Chera dweep post-breakfast. Indulge in some sightseeing. Drive to Teknaf post-lunch. Arrival at Teknaf. Transfer to hotel for dinner. Night halt at Teknaf. Depart from Teknaf to reach Chittagong post-breakfast. Relax for some time post-arrival at Chittagong. Sightseeing at Chittagong will include the Goldsmith’s alley, Reazuddin bazaar, Temples with colonial architecture, Ethnological Museum, Qadam Mubarak Mosque, and Shahi Jama-e-Masjid. Return to hotel for dinner. Night Halt at Chittagong. 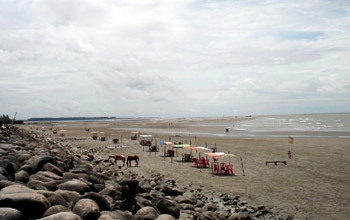 Start your morning with a lovely visit to the Patenga beach. Continue your excursion with Foys lake & water front. Night halt at Foys Lake Resort. Depart from Chittagong to reach Dhaka. Visit Moinamoti - the famous Buddhist Stupa that dates back to the 6thCentury & the war cemetery enroute. Dinner at hotel in Dhaka. Night Halt at Dhaka. 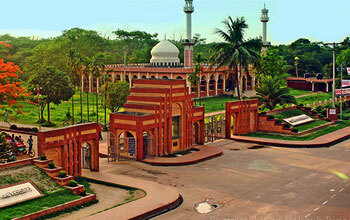 Start your day with splendid sightseeing around Dhaka. Enjoy a visit to Ahsan Manjil, Sadarghat Port, Armenian Church, Star Mosque etc. Indulge in some shopping at the local handicraft shop. Dinner at hotel. Night Halt at Dhaka. Early morning departure from Dhaka post-breakfast. Transfer to airport. Tour End.